This isn’t a huge shock when you think that there hasn’t really been a refresh in product design since the iPad 2 and with the new name “Air” you know that a lot of people will be upgrading on that alone. With both companies reporting very similar numbers, it’s very hard to argue that this is just a one-off with one company. 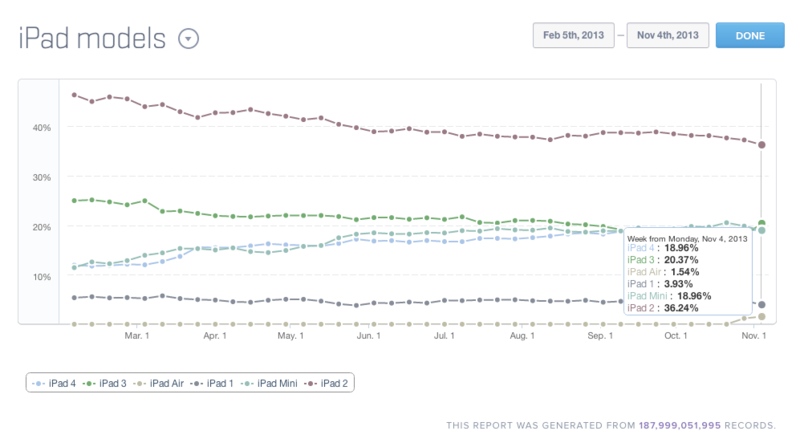 What will be interesting to see will be if Apple can keep up with this pace. We have heard Apple is having issues keeping up with the production pace of the Retina iPad Mini screen, so whether Apple can keep up this pace with the Air will be something share holders and holiday shoppers will keep their eyes on. Are you planning on getting the iPad Air? If so, what was your last iPad? Microsoft hires Kelly Clarkson to open its store Knock, Knock, Knock Unlock?